NFL Media has named Michael Mandt Executive Producer for Original Content. Starting immediately and reporting to SVP of Production and Programming, Mark Quenzel, Mandt will be based out of NFL Media’s offices and studios in Los Angeles. 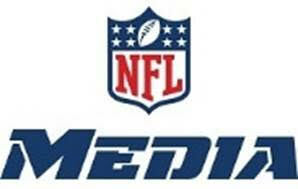 In this newly created role, Mandt will be responsible for developing original content and programming for all NFL-owned and -operated media platforms including NFL Network, NFL Now, NFL Mobile from Verizon, and NFL.com. This will include creating new original content as well as overseeing current original programming for NFL Network such as the three-time Emmy-nominated series A Football Life, and The Timeline, both from NFL Films, and other successful series such as Undrafted. “The NFL has some of the most popular and valuable content, not only in the world of sports but across the entertainment industry as a whole so I’m incredibly excited about joining NFL Media to work with, and continue to grow the brand in new and different ways,” says Mandt. The multi-Emmy Award winner brings deep experience to his role as he has led a production company, Mandt Bros. Productions, alongside his brother Neil for the last 14 years. Best known for their original series Jim Rome Is Burning for ESPN and Destination Truth for SyFy, the brothers have produced shows for networks including Showtime, E!, and Food Network, as well as digital, branded, mobile, and virtual reality content. Prior to his work with Mandt Bros. Productions, Mandt served stints at ESPN, MLB Productions, and HBO Sports. Mandt and his brother were also the producers behind the Disney feature film Million Dollar Arm. Mandt’s hiring is part of a new organizational structure the NFL’s EVP of Media Brian Rolapp announced in November of 2015. NFL Media’s new structure is designed to merge the division into one holistic organization, streamlining efficiency and promoting innovation at the intersection of television and digital media.